A small tubed cigar for mobile smokers. 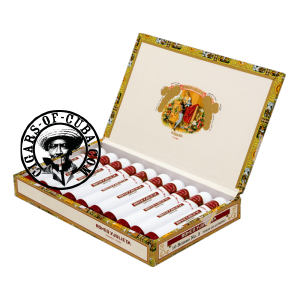 In a new packaging of boxes of 10 cigars in white tubos. Typical mix of Romeo flavors (nuts, leather, fruit and some bean) delivered in an easy smoke. Can be enjoyed young and by all level of smokers.